As we read the story of Passion week, we often bump into scenes that don’t quite make sense. Did the same crowd that cheered for Jesus’ triumphal entry call for his execution a week later? Why did Jesus choose his last week to overturn the tables in the temple courts? At his trial, why was Jesus accused of claiming that he would destroy and rebuild the temple? A few pieces of historical data can shed a lot of light on this story. Understanding who was accusing Jesus and what the Jewish expectations were for the Messiah can link together events that seem unrelated. We’ll also find that Jesus fulfilled his role as Messiah in ways that we’ve never considered before. A detail that is critical for understanding Jesus’ last week is the corruption of the Temple priesthood that existed in Jesus’ time. The Temple was the heart and soul of the faith of the people of Israel, where God’s very presence dwelled. But in the preceding century, the chief priests had become extremely corrupt. 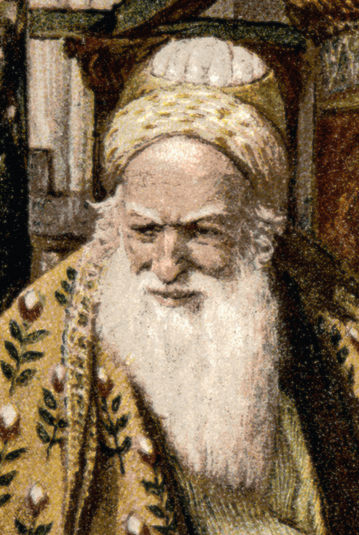 Throughout the history of Israel, high priests were chosen by lot from among the Levites. Herod was threatened by the power of the priesthood, so he ignored biblical law and appointed the high priest himself. The position was subsequently bought with bribes from wealthy Sadducean families, who agreed to keep peace with Rome in exchange for wealth from the temple tithes and the sale of sacrificial animals. The Jews of Jesus’ time hated this corruption. One group, the Essenes, divorced themselves entirely from worship at the temple, considering it to be defiled. John the Baptist also spoke against the priesthood, saying that the Messiah would come to clear “his threshing floor,” an allusion to the Temple, which David first established on a threshing floor (Matt. 3:12; 2 Sam 24:13). When Jesus, the brilliant yet humble rabbi, rode into Jerusalem on a donkey, he employed a king’s entrance like that foretold in the scriptures (1 Kings 1:38-40; Zech. 9:9). He was proclaiming himself as the Messiah, God’s anointed king. The first action Jesus took after his triumphal entry was to drive the sellers out of the temple courts. His concern was not that worship had been displaced by commerce. Rather his denunciation of the sellers was aimed directly at the high priest’s family, as he assaulted the “booths of Annas” where they profited from the overpriced sacrifices for temple offerings. Jesus’ words to the sellers carry a far stronger rebuke when you know the Scriptures where they came from. He said, “My house is to be a house of prayer, but you have made it a den of thieves” (Luke 19:46). This passage hints at Jeremiah 7:11 where God was denouncing the wicked religious leaders of Jeremiah’s era. God had declared that the temple had become a “den of thieves,” and if they didn’t repent, he would destroy it. During the week, Jesus told a pointed parable against the priests, the “Parable of the Vineyard” (Luke 20:9-16). In that story, wicked tenants refuse to give the landowner his money. He sends his servants and finally his son to confront them, but they kill each one. So the landowner has the tenants put to death. This story was specifically aimed at the priestly leaders, whose corruption with tithes was famous.4 They were robbing God, the landowner, and killing those God sent to enforce his law, including his Son, Jesus. Once again, Jesus was prophesying that the corrupt priesthood would be destroyed. The religious leaders knew the parable was directed against them, and they wanted to arrest Jesus immediately. Sadly, Christians have often interpreted these words as aimed at Jews in general, rather than at the Temple leadership of Jesus’ time. The house of Annas and the rest of the Sadducean aristocracy that controlled the temple finally came to an end when Jerusalem was destroyed in 70 AD, just as Jesus predicted. 1 Flavius Josephus “The Wars of the Jews” IV, 3.7. See also the entry on “Annas,” in the International Standard Bible Encyclopedia. 3 Jesus’ final week is full of scripture allusions to the corruption of the temple and its coming destruction. For example, “the stones will cry out” (Luke 19:40) refers to Habakuk 2:11; “you did not know the way of peace” (Luke 19:42) refers to Isaiah 59:8; “he whom the stone falls” (Luke 20:18) refers to Daniel 2:34-35, 44; and “the dry tree” (Luke 23:31) refers to Ezekiel 20:47. Use a very word-for-word translation (King James or New American Standard) to compare these texts, and read Jesus’ Scripture reference in its greater context. 4 See chapter 3, “Stringing Pearls” in Sitting at the Feet of Rabbi Jesus (Zondervan, 2009). 5 Randall Buth and Brian Kvasnicka, “Temple Authorities and Tithe Evasion: The Linguistic Background and Impact of the Parable of the Vineyard, the Tenants and the Son” in Jesus’ Last Week (Leiden: Brill, 2006) 65-73. Readable online at link. 6 Flavius Josephus, “Antiquities” 20.9.1. An excellent further reference is Misconceptions about Jesus and the Passover, a lecture series by Dwight Pryor, available from www.jcstudies.com. As a Christian (Messianic Jew), raised in a Gentile world, I have never understood Jesus’ rage as against Jews but rather against the corruption of God’s temple, mainly through the religious rulers. I know historically there has been different interpretations like you have said. Thank you for your great insight to the priesthood of Ananias. Somehow, John the Baptist’s father, the priest,Zacharias escaped the general corruption of the priesthood at that time. Luke 1:6 states, “they were both (Elizabeth and Zacharias)), righteous in the sight of God walking blamelessly in all the commandments and requirements of the Lord.” Thank you, Lois, for posting these fascinating details of history. I’d love to hear you preach on Easter Sunday. You would avoid the old worn out anti-Judaic cliches that are so wearying, insulting and ignorant, and that we have heard all our lives. Kathy, thank you for giving me an opportunity to clarify. My article was about the corruption of the high priestly family of Annas and Caiaphas, not a blanket condemnation of the entire priesthood. The Levites included many upright, sincere Jews, including Zechariah. Christians are way too quick assume that a negative label applied to an entire group of people. Related to this, make a note about the Pharisees too. Jesus had his opponents among them during his ministry, but in the book of Acts we see the Pharisee Gamaliel defending Peter from the high priest (Acts 5:33) and they were even among the early believers (Acts 15:5). I appreciate the reminder about the tendency to make generalizations that are not warranted. I am also glad that in your article you fully explained why the people who welcomed Jesus into Jerusalem with such devotion were not the same people who later cried out, “crucify Him.” I have heard so many sermons over the years that equated the two groups as really one very fickle group of Jews. Thanks for the clarification. Now I am going back over the article with a closer look, especially at the footnotes. Thank you for the great insight! I have thought about why, as you mentioned in the beginning, people were cheering for him one week, and then crucify him the next. However, I never understood the “back story” of Annas and the corrupt priesthood that was a large contributor to Jesus’ death. As I am currently in a class that digs deeper into the Bible, this was really helpful and very inspiring to me to dig deeper in my own Bible reading as well. I never really understood how corrupt the high priest family was at the time of Jesus. It totally makes sense how Jesus’s anger against the priest’s was linked back to Jeremiah 7:11. It is also important that we understand that Jesus’s parable about the Vineyard in Luke isn’t about Jews in general, but the priests. Thank you for giving me a new perspective on this subject. I really like having the meaning behind the parable of the vineyard and the meaning of Jesus actions in the temple explained. I too was confused about who he was directing his anger at but to see the biblical verse in Jeremiah that he was referring to helped clear that up. Also it helps to explain more of the reasons why the leaders of the temple wanted Jesus dead so badly. Thank you for the insight your article provided. Previously, I had not know the extent to which the priesthood was corrupted. The history and background of the corrupt priesthood really makes Jesus actions and words even more significant and meaningful. It is quite evident that Jesus had a clear and direct message to the priesthood, and I think it is important to understand how he delivered it. Before reading this article I had never really realized how corrupt the priests, and people working in the temple were. I was very surprised that Herod was “threatened by the priesthood” because he was one of the most powerful Roman Kings to have ever lived. The fact that he would hire people like Annas to control the temple, and basically turn it into a “Mafia” goes to show why Jesus was so angry. I just thought Jesus went into the Temple to drive away the people selling animals in the Temple, and didn’t realize how complex the issue actually was. To go along with that, the article says that Annas and company basically killed Stephen, James, and Jesus. 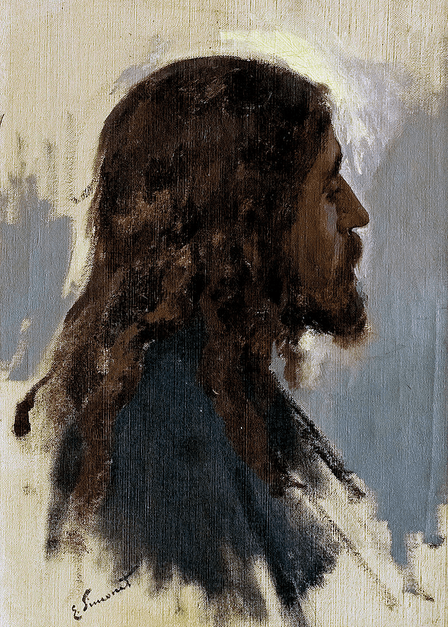 Thank you for this article giving more insight into the final week of Jesus’ life. It is fascinating how the Bible is filled with references back to earlier passages, and though it is enlightening to learn about the connections between passages it also frustrating that as Western Christians it is difficult for us to see scripture through the cultural eyes of the Easterners who wrote it down. I appreciate every insight into the Bible that gives clarity to the original meaning and brings light to references back to previous passages. I like how this article emphasizes on how Jesus came during the time the priests were very corrupt. I also like that same paragraph when it talks about how we usually think all the Jews of the time were persecuting Jesus. This paragraph emphasizes that it was the temple leadership wanted to arrest Jesus immediently, not all general Jews. I really appreciated this article and I learned a lot from it. I like how it explain that the people who welcomed Jesus into Jerusalem were not the same people who told them to crucify him. I always thought that it was the same group so I am glad that this article clarify that. I also liked how it talked about he corrupt house of Anna’s because I never knew about that and I learned that Anna’s house owned the flocks from the sacrificial animals and control the money changing tables at the temple. It was really interesting to see how corrupt the government was in the week before Jesus’ death. This article helps me to know more about Jesus and the time he lived, and more of the reason of why he died. I love learning again how Jesus shut down the bad things that were happening at the temple. I never have really asked the question or thought about the people who had celebrated Jesus’ life and waved palm branches in one week could possibly turn their backs on Jesus and betray him within a week of each other. When I read this article, I had a new insight and learned that it was the people in charge of the temple and robbing the people that Jesus wanted to destroy. It isn’t the Jews or the temple itself that he would want to destroy. He teaches a parable on it and the leaders of the temple know it is against them and that is what Jesus intended. When reading about the end of Jesus’ life, I knew that the chief priests were bad as they arrested Jesus and then encouraged the people to shout that they wanted Barabbas free, but I never realized the true evil and corruptness that surrounded the chief priests and the high priest. I thought the comparison of the chief priests to the mafia was a good one after you described how the high priest, Annas, controlled the whole temple priesthood and remained in control and acted as the overarching godfather even when he was not high priest. I also thought it was interesting that most of the actions of the temple and the chief priests were only to get money out of the people. In regard to parables, as you said, when I have read certain parables like that of the Parable of the Vineyard, I thought it was aimed at God’s people and the Jews in general when really it and other parables were aimed at the temple Leadership, so thank you for sharing this so that I can interpret the New Testament and parables better. I was very interested in this article. I thought it was interesting, yet not suprising that the High Priest’s family was corrupt. The fact that they were wealthy from all the hierarchy that they had made me wonder how people didn’t see them as corrupt. Especially if they were taking money away from people who needed it at the temple. This insight into the things that were happening during Jesus’ last week is so helpful to understanding the story! I always just kind of read past some of the events, like Jesus’ anger in the temple and his entering Jerusalem on a donkey, because I didn’t understand what was truly happening. It is so interesting how everything Jesus said and did seems to be related to prophesies and stories from the Old Testament. Understanding the culture really helps me understand more of Jesus’ life. I was really blind to the fact that the temple was so corrupt. I never knew that they would take God’s money for there personal gain. When I think of the stories of Jesus’s last days I think of how terrible everyone else and I really don’t think of the temple so that is some great new insight. I never new how corrupted the chief priests were. In Jesus last week we see how messed up there government is. I am also glad to learn that the people who welcomed Jesus into Jerusalem are different people then the ones that were shouting to crucify him. Prior to reading this article I never realized how corrupt the the people were especially the priests. This was very new to me. It makes a lot more sense to me now how Jesus’s anger towards the priests relates back to the passage Jeremiah 7:11. I am very appreciative of your insight on this topic and I learned a lot from it. Thanks for the insight! I have never made that connection in this story before. 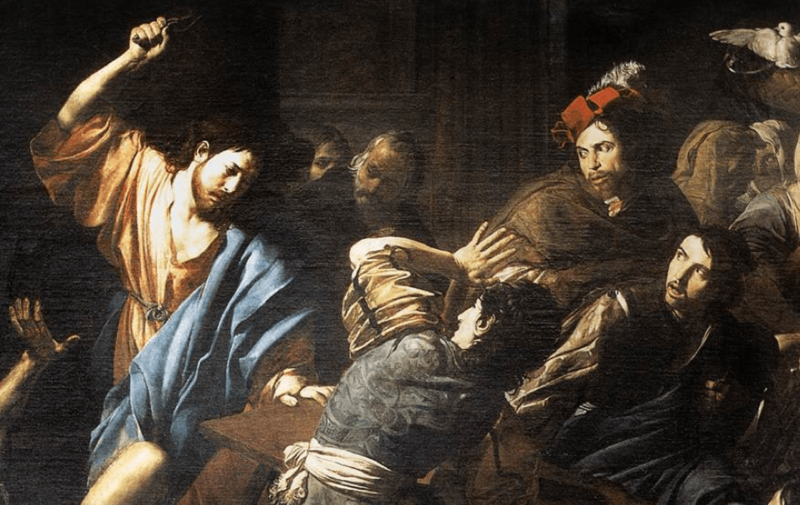 I knew that the Priesthood was corrupt and provided false witnesses, offered bribes, and such, but I never thought that Jesus’ anger in this story was directed at the priesthood. I always assumed that he was anger was directed toward the sale of items in the temple not the corrupt reasons behind it. Thanks for this new insight into the last week of Jesus life. I appreciate your insight on the corruption of the Temple during Jesus’ time. I always knew the story of Jesus being upset with the priests but I never dug deep enough to uncover the history of the corruption. I love how you discuss the significance of Annas even after Jesus’ death — the persecution of Paul, Stephen, and James. The ending to the article is perfect: Annas was taken down with Jerusalem, just as Jesus himself predicted. Thank you for this new view of the story! I always knew that the temple was corrupt but I never knew that it was directly through the high priests. This is a great reminder that I need to remember that everything in the new testament has even more significance if you tie it back to the old testament. I had no idea that saying that the temple was a “den of themes” alluded to the fact that if they didn’t repent it would be destroyed. Great thoughts! I found this article very informing and eye opening. One would think that a place like the temple would be where God’s word flourishes and where he is the center of it all, but by reading this it is more evident to me that religious leaders were nothing but broken and immoral. I love the connection to Jeremiah 7:11 because it indeed sounded like the temple was filled with a, “den of thieves” in Jesus’s time. Thank you very much for your insight on this topic, you have a gift and I thank you for using it.I had no idea how corrupted the state of Priesthood was. Now that I know just how corrupt Priesthood was I have a whole new appreciation for Jesus’ acts and his ministry. I also now understand why Jesus was so upset, I always assumed that he was angry because of the items for sale. Thanks again fro shining a new light on a well known story. Thank you for sharing this new perspective. I was not aware of just how corrupt the Priesthood was at the time. It is now easier for me to understand why Jesus was so upset over the state of the Priesthood. I never fully understood why Jesus was so angry. Thank you for sharing this new and interesting perspective. although not written down until 700ad the oral teachings of the Jewish religious leaders were practised at the time of Jesus. A knowledge of the written teachings (the Talmud) leaves no doubt of the evil he faced. Martin Luther’s reaction after reading a translation (not available on pain of death) speaks volumes. The New Testament can only be fully understood with a knowledge of the Talmud. I have been mulling this question;Which gate would he have used into the City? Was it really the King’s (Eastern) Gate which was manned and controlled by the Roman Garrison, particularly during the Feast Days? Even on a donkey, with people calling for a savior in loud voices the Soldiers would have been very sensitive, perhaps even be proactive, arresting even an appearance of revolt. Or, did he enter just around the corner through the Sheep Gate? Coming amidst the dedicated flocks, asking people to recognize him …the Real Lamb of G-d?